Although this juice looks like a green juice (a juice with vegetables), this juice has melons, grapes, apple juice and fresh mint. 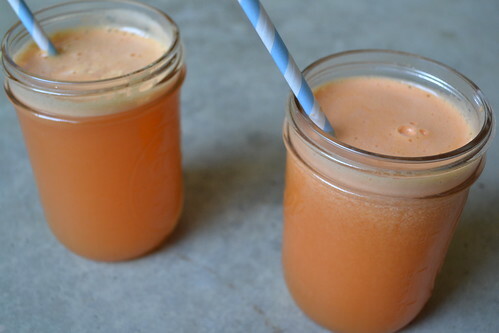 You can use any type of melon you like for this juice. We used honeydew this time, but cantaloupe would be delicious too. We used the Organic Gravenstein Apple Juice from Solana Gold that is available when you customize your box. 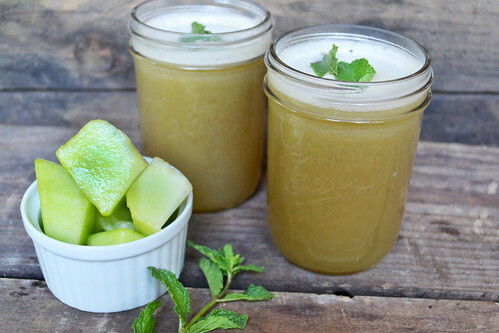 This melon, grape, apple and mint juice is on the sweet side and even though we didn't put any vegetables in this time, you could add a cucumber or some celery stalks without disrupting the fruit flavors. Enjoy! Blender/Food Processor Directions: Cut the cantaloupe into chunks and add them to the blender or food processor. Add the grapes and process until smooth. Pour in the apple juice and 1-2 mint leaves and process until combined. Taste and add more mint leaves if desired. Strain into a glass using a colander and enjoy! Juicer Directions: Feed chunks of cantaloupe and grapes down the chute one at a time until processed. Add a handful of mint. 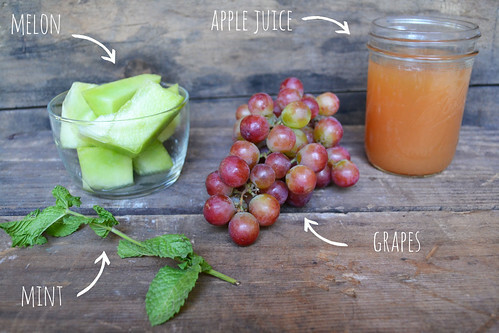 Pour the apple juice into the juicing container with the freshly-juiced cantaloupe and grape. Stir to combine. Pour into a glass and enjoy! How To Add Juicing Fruits, Vegetables and Apple Juice To Your Delivery: CSA members - head on over to our online Farm Stand Market to customize your upcoming delivery. On the second page of customizations, you’ll find “Produce by the Case” and can stock up if you want a larger batch of produce for juicing. You will also find the Organic Gravenstein Apple Juice among "Other Farm Products." The Market is open from noon on Thursday until 10 am, 2 days before your scheduled delivery day. After you confirm your produce items, click the orange button "Confirm and Continue To Other Farm Products" to add the products to your delivery. The heat of the summer means it's pepper season, and we couldn't be more excited. 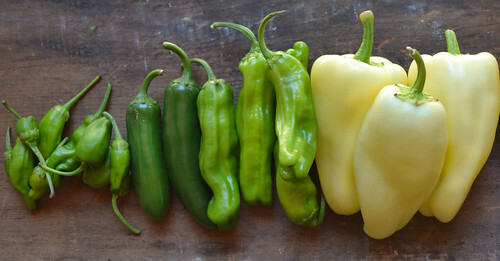 We love how different peppers have more crunchiness than others and varying levels of heat. But with so many different types of peppers, keeping track of them all can be hard. Which ones are sweet? Which ones are spicy? Which ones are best eaten raw, blistered or cooked? We've created a handy description of all the different types of peppers you might see in your box (some depend on which region you're in), so the next time you're looking for the perfect pepper, you'll know exactly which one you want. 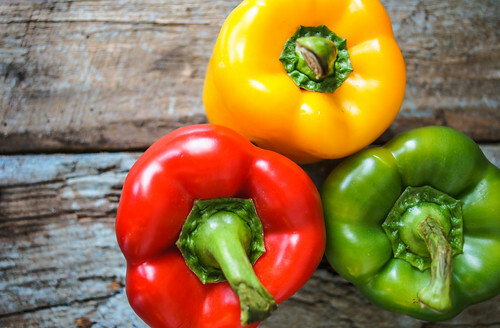 Bell peppers are a large-sized pepper with no heat. They have a crunchy, thicker flesh. The seeds are typically removed from the bell pepper, but they aren’t spicy like the jalapeño's seeds. 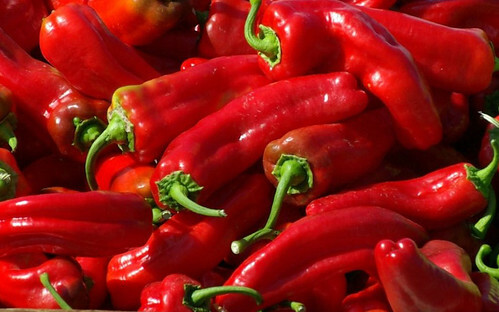 These versatile peppers are great for cooking, but can also be eaten raw. Try cutting them up into strips to dip in hummus, add them to your favorite vegetable stir-fry, chop them and add to your salad, or stuff with your favorite fillings and bake it. Red bell peppers are sweeter than a green bell pepper, as they’ve had more time to ripen on the vine. Purple bell peppers taste similar to a green bell pepper but have a thinner skin. Jalapeño peppers are a medium-sized spicy pepper with a crunchy flesh similar to that of a bell pepper. The seeds and membrane inside the pepper are the spiciest part; remove that part of the pepper if you want a milder flavor. Jalapeño peppers are versatile in the sense that they are eaten raw, pickled and cooked. We love adding jalapeño peppers to guacamole, salsas, Thai curry dishes that call for hot peppers and much more. Helpful Hint: Don’t rub your eyes after handling hot peppers. If you ever get jalapeño juices in or near your eye, put milk on a washcloth and hold it over your eye. Corno di Toro peppers are medium-to-large sized peppers with no heat. They have a crunchy flesh similar to that of a bell pepper or gypsy pepper. The peppers have seeds that are typically removed when eaten. These versatile peppers can be eaten raw, dipped in hummus, stir-fried with other veggies, chopped up in salads and stuffed with your favorite fillings and baked. Shishito peppers are a small to medium-sized pepper with a crunchy yet thinner skin than most peppers. They’re typically mild peppers (although occasionally you'll find a spicy one) and can be eaten raw, including the seeds. However, our favorite way to eat Shishito peppers is to blister them in sesame or olive oil and sprinkle with salt. We’ve also grilled them and stuffed them with goat cheese, which is another fantastic treat. 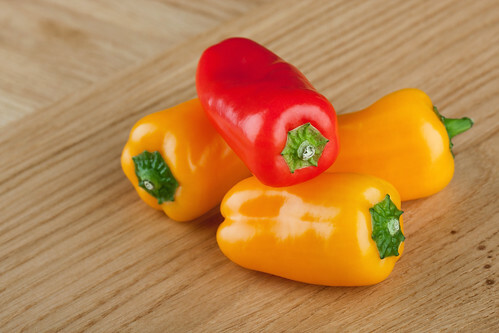 Just like the name says, these mini sweet peppers have a crunchy texture similar to that of a gypsy or bell pepper. 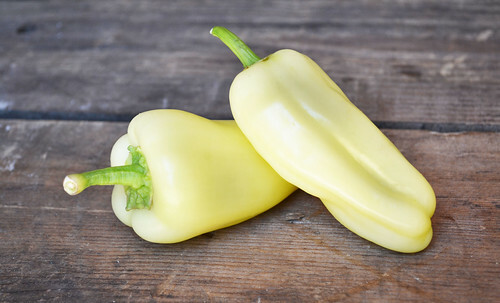 Mini sweet peppers are a hybrid of a bell pepper and a hot pepper with no heat. We love to dip them whole into hummus or other favorite dips, but we also use them in salads, stir-fries and other dishes. 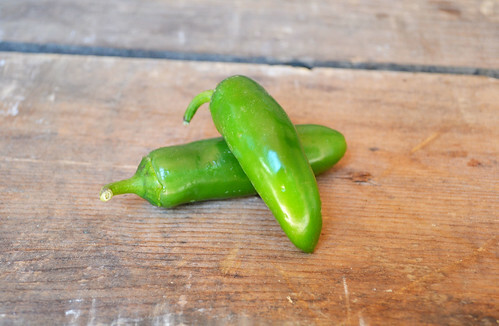 Padron peppers are a small pepper that have a mild to fiery heat. They have a crunchy, yet thinner skin and look very similar to a Shishito pepper. 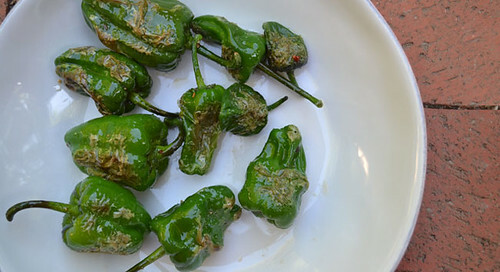 Padron peppers can be eaten raw, including the seeds. 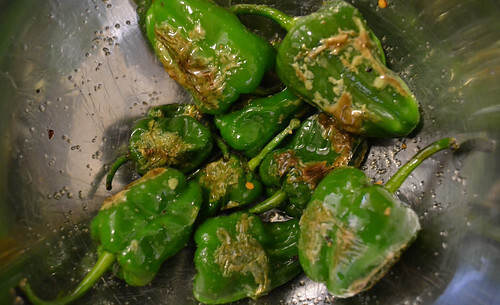 However, our favorite way to eat Padron peppers is to blister them in sesame or olive oil and sprinkle with salt. We also love them in our Padron pepper tapenade and sliced inside quesadillas. 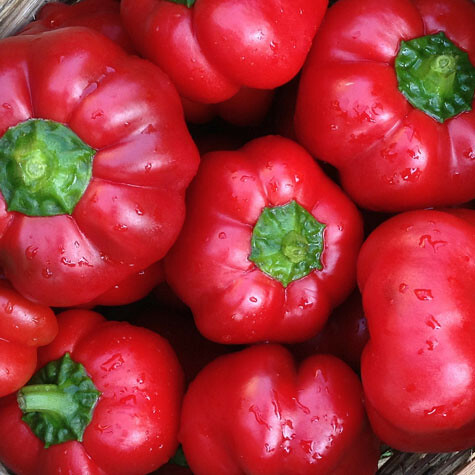 Pimiento peppers are a small pepper with a crunchy texture similar to a bell pepper. They’re a mild pepper and can be eaten raw. The most common place to see a pimiento pepper is stuffed in a green olive or in pimiento cheese. We also like using them in stir-fries, corn bread and paella. Gypsy peppers are known for their flamboyant color variations since they ripen from a light greenish yellow to orange and then red. These peppers are a medium-sized pepper with a thin and crunchy texture. The seeds are typically removed, but they aren’t spicy like the jalapeño. They are great eaten raw as a snack, dipped in hummus or your other favorite dip, added to salads and cooked. We’ve used them in stir fries, curries, salads and baked. If a recipe calls for a bell pepper, often times a gypsy pepper can be substituted. How To Pepper Varieties To Your Delivery: CSA members - head on over to our online Farm Stand Market to customize your upcoming delivery. Market is open from noon on Thursday until 10 am, 2 days before your scheduled delivery day. After you confirm your produce items, click the orange button "Confirm and Continue To Other Farm Products" to add the products to your delivery. The farm has settled deep in to the summer. The mornings start early. Half past five is when the crews arrive, strategically positioning their days work to avoid the peak heat that settles on the farm in the afternoon. The hottest part of the day arrives a few hours after noon once the sun has had time to glow with its full force over it all. By this time in the day, the hard work is done, and folks are headed home to rest and be ready for another early morning. 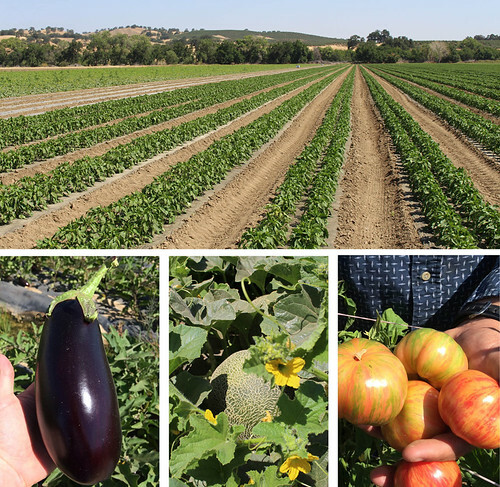 Fields that were sown in the spring are filled with tomatoes, melons, pepper and eggplant. These crops are demanding to harvest at their peak ripeness. They are on their own schedules. We don’t have control over when they are ready, but we have to be ready to pluck them from their vines with perfect timing. As our amazing harvest team does this, our production team has turned their focus to fall. Fields are selected, planting schedules done and little seeds have germinated to little plants in the greenhouse. The first of our fall carrots and beets have been sown into the ground, and our first kale and chard transplants are scheduled to arrive in two weeks. It is this time of year when we realize that this business is a marathon, not a sprint. We have come so far, yet we find ourselves in the middle with a long way yet to go. With all of this going on, I am excited to announce that in true farmer fashion, we added another big thing to our summer – our new little baby boy. Julien Frances Barsotti was born on July 14th, on time and on Bastille Day, making the French side of his family proud! Mom and baby are both healthy. His big sister, Lola, and big brother, Lucca, are very excited to have a baby in the house. Check out the photos on my Instagram (@farmerthaddeus) and our Farm Fresh To You account (@farmfreshtoyou). We are blessed to be so busy with such amazing work and family happenings. Thank you for the support you give our farm and enjoy the summer produce. We only have a good month or so of it left. If you're new to the juicing bandwagon, this is a great juicing recipe to try. This juice with fresh oranges and cantaloupes kind of tastes like a Creamsicle, but without any cream or dairy product. You can't even taste the carrot and cucumber in this juice, we promise. Loaded with tons of vitamin A, D and K, this juice is super healthy. (This would be a great recipe for kiddos, too.) If you want tips on how to cut a cantaloupe, see Farmer Thaddeus' video right here. Blender/Food Processor Directions: Chop the carrots and peeled cucumber into small pieces and blend with a little bit of water. Cut the cantaloupe and oranges into chunks and add them to the blender or food processor. Process until smooth. Pour into a glass and enjoy! Juicer Directions: Feed chunks of cantaloupe and oranges down the chute one at a time until processed. Add the carrots and cucumber. Pour into a glass and enjoy! How To Add Juicing Fruits & Vegetables To Your Delivery By The Case: CSA members - head on over to our online Farm Stand Market to customize your upcoming delivery. On the second page of customizations you’ll find “Produce by the Case” and can stock up if you want a larger batch of produce for juicing. Market is open from noon on Thursday until 10 am, 2 days before your scheduled delivery day. After you confirm your produce items, click the orange button "Confirm and Continue To Other Farm Products" to add the products to your delivery. When most people think of garbanzo beans (or chickpeas), they think of the buff-colored legumes that come in a can. Fresh garbanzo beans, however, are green! 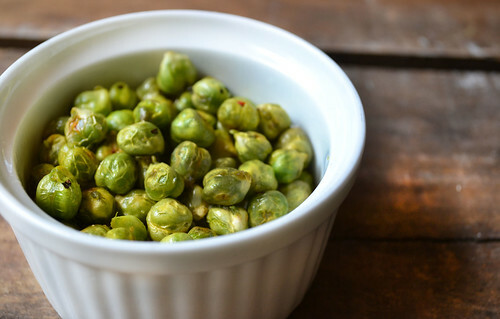 When eaten raw, garbanzo beans taste similar to fresh peas. 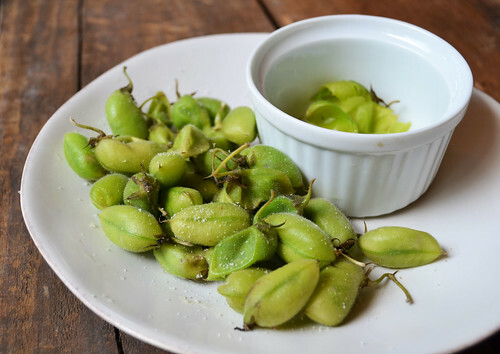 You can add them to salads, stir frys, or just pop them out of the shell and into your mouth. 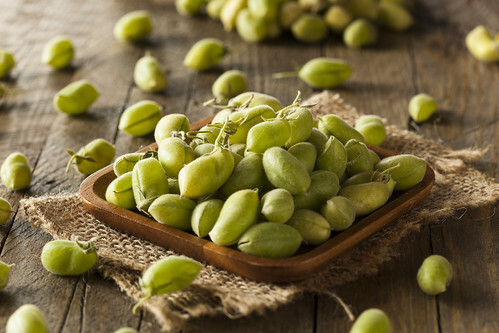 Packed with calcium, fiber and protein, garbanzo beans make a great and healthy snack. Fresh garbanzo beans aren't in season for very long, so when they are around, we like to make the most of them. Below are three of our favorite ways to enjoy fresh garbanzo beans. Similar to edamame in eating style and flavor, steamed garbanzo beans make a great and fun-to-eat snack! Set a steamer inside a medium-sized saucepan. Fill the saucepan with water until the water just touches the bottom of the steamer. Fill the steamer with the garbanzo beans, still in their pod. Cover with a lid and turn the heat to high. Steam the garbanzo beans for 5 minutes. Put the garbanzo beans on a plate and sprinkle the pods with sea salt. Pop the garbanzo beans out of their pods and into your mouth! Fresh-roasted garbanzo beans are easy to eat by the handful. If you want to make this recipe, but don't have fresh garbanzo beans, canned ones work well too. Preheat the oven to 375 degrees Fahrenheit. Spread the shelled garbanzo beans onto a baking sheet. Pour the olive oil over the garbanzo beans and spread them around to coat. Sprinkle with omnivore salt if using, or salt and your other favorite seasoning. Roast for 30 minutes. Remove from heat and allow to cool slightly. Eat up! 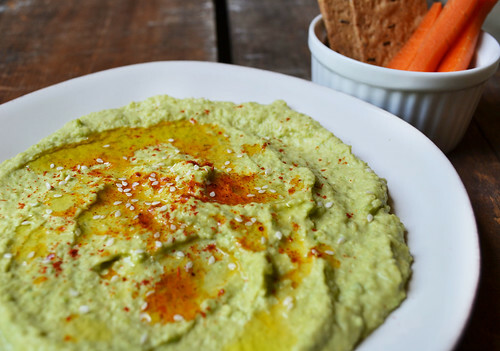 The flavor of this hummus is similar in flavor to hummus made with canned garbanzo beans, only fresher. If you don't have fresh garbanzo beans, you can sub with canned ones, just drain and rinse first. Steam the shelled garbanzo beans for 20 minutes. Make sure to check the water level if you're using a smaller pan so the water doesn't run out (refill as needed). Remove garbanzo beans from steamer and allow to cool. In a food processor or blender, pulse the cooked garbanzo beans a few times. Add the garlic, tahini paste, lemon juice and salt and blend. With the food processor or blender running, slowly pour in the water to your desired texture (add more water if you want your hummus a little more smooth). Pour into your favorite dish and garnish with olive oil, paprika and sesame seeds if desired. Serve with crackers or vegetables for dipping; spread it onto a sandwich. Dig in! How To Add Fresh Garbanzo Beans To Your Delivery: CSA members - head on over to our online Farm Stand Market to customize your upcoming delivery. Market is open from noon on Thursday until 10 am, 2 days before your scheduled delivery day. After you confirm your produce items, click the orange button "Confirm and Continue To Other Farm Products" to add the products to your delivery. This is one of those questions that can be a little intimidating to ask – do you like to juice? We love juicing here at Farm Fresh To You, for a number of reasons. First off, juicing is a great way to eat more fruits and vegetables for the day. Second, juicing can use up any leftover fruits and veggies before they go bad from your CSA box! 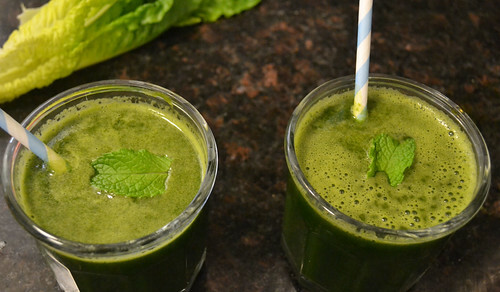 This green juice recipe is super healthy and versatile. Feel free to throw in other vegetables if you have another produce item you need to eat up. Blender/Food Processor Directions: Chop off about an inch of the bottom of the celery. Roughly chop the celery, cucumber, kale and romaine. Blend your leafy greens first with a little bit of liquid such as water or coconut water. Add the chopped-up celery and cucumber and blend until liquefied. Pour into a glass and enjoy! Juicer Directions: Feed each vegetable through the juicing chute one at a time until processed. Pour into your favorite glass and enjoy! Save the pulp for your chickens, compost or to make veggie burgers. Put the pulp in a sealed reusable container or plastic bag and store in your fridge until ready to use. 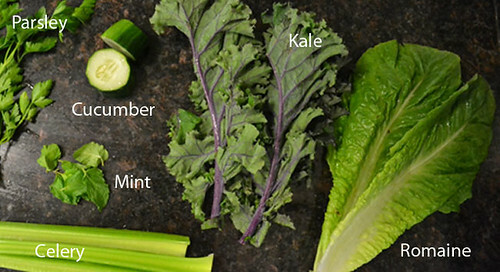 How To Add Juicing Vegetables To Your Delivery By The Case: CSA members - head on over to our online Farm Stand Market to customize your upcoming delivery. On the second page of customizations you’ll find “Produce by the Case” and can stock up if you want a larger batch of produce for juicing. Market is open from noon on Thursday until 10 am, 2 days before your scheduled delivery day. After you confirm your produce items, click the orange button "Confirm and Continue To Other Farm Products" to add the products to your delivery. A few months ago we received some impressive organic flours from Nash’s small family farm and we have been looking for a good excuse to give them a try. Nash’s grains and flours are unique because they grow and grind their flour at their certified organic mill located on their farm. It is very unusual for grain to be grown and ground at the same location, especially an organic, completely non-GMO grain. Since the flours are ground from organic whole grain, it ensures that you get all the goodness and nourishment that nature intended. 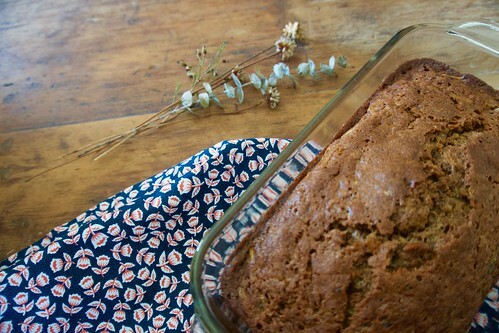 Because it is summer and zucchini is delightfully plentiful, we decided to try our hand at making farm fresh Spiced Zucchini Bread. 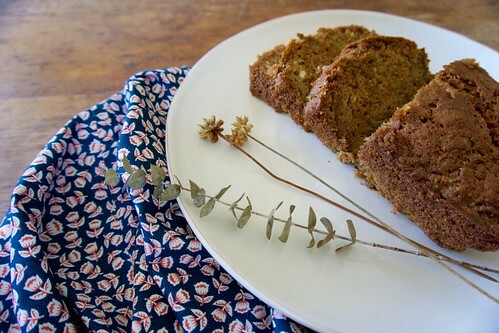 Our version uses less sugar than traditional zucchini bread and we have swapped out canola oil in place of olive oil. Trust us, this recipe will become a summer staple around your house and the perfect complement to your morning cup of coffee. Enjoy! This makes one 9×5-inch loaf. Preheat oven to 350 degrees F. Grease and flour a 9x5x3-inch loaf pan and set aside. In a large bowl, whisk together the two sugars, oil, vanilla and eggs. In a smaller bowl, blend flour, baking powder, baking soda, cinnamon, nutmeg, ginger, cloves and salt. Add this flour mixture to the egg/sugar mixture and blend well. Stir in the grated zucchini. Pour batter into the greased and floured pan, spreading evenly. Bake 50-55 minutes, or until toothpick inserted into the center comes out clean (my loaf was done in 50 minutes). Cool in pan 10 minutes; then remove from pan and cool completely before slicing. 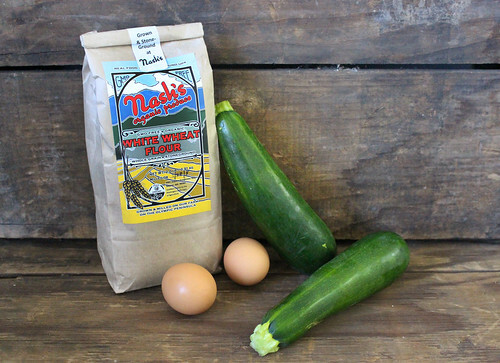 How To Add Nash's Flour, Zucchini and Eggs To Your Delivery: CSA members - head on over to our online Farm Stand Market to customize your upcoming delivery. Market is open from noon on Thursday until 10 am, 2 days before your scheduled delivery day. After you confirm your produce items, click the orange button "Confirm and Continue To Other Farm Products" to add the products to your delivery. Looking for an easy and delicious summer snack? Padron peppers to the rescue! 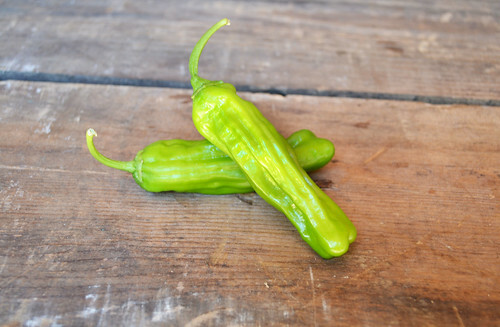 Padron peppers are sometimes mild, but can be hot as well. We find that the later in the season we are, the more spicy ones we bite into. This recipe highlights the peppers’ unique flavor and crunchy-yet-silky texture. The best part? You’ll be enjoying this healthy snack in 10 minutes or less! As you can see in the photo above, some of the Padron peppers are starting to turn slightly black near the tops. Don’t worry! That’s completely normal and is safe to eat – so don’t throw the pepper out. Also, keep the stems on the peppers. The easiest way to eat them is to grab them by the stem and bite right up to the top. Then you can discard the stem. 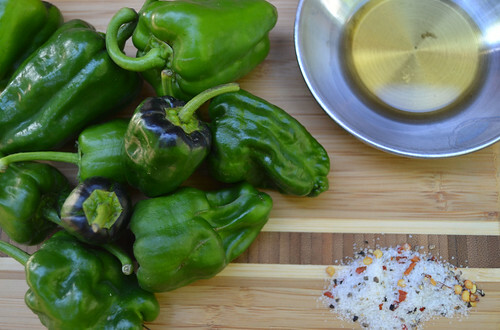 Transfer the peppers to a bowl and toss with your favorite salt (such as our addicting Omnivore salt). 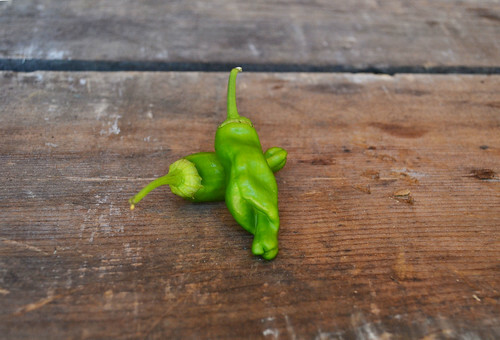 How To Add Padron Peppers To Your Delivery: CSA members - head on over to our online Farm Stand Market to customize your upcoming delivery. Market is open from noon on Thursday until 10 am, 2 days before your scheduled delivery day. After you confirm your produce items, click the orange button "Confirm and Continue To Other Farm Products" to add the products to your delivery. School is out for the summer, and for many kids it is a time of relaxation and fun in the sun. For some it can be a time of worry and anxiety. For the kids and families who rely on free and reduced-priced school meals, the summer break can be a worrisome and difficult time. 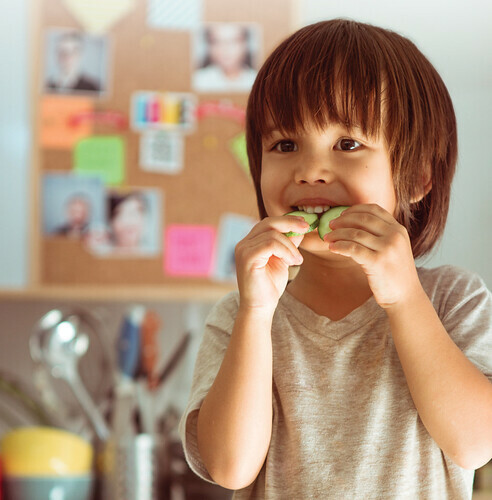 Through Donate-A-Box, you have the opportunity to help children and families facing hunger get access to nutritious and healthy produce. 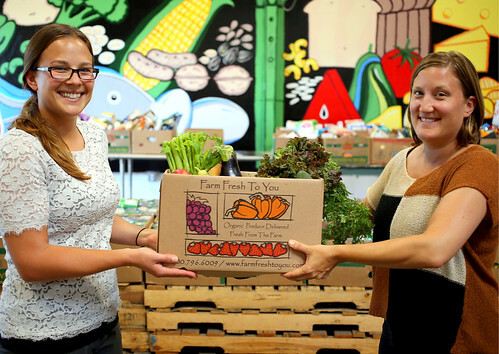 Donate-A-Box is a unique program that easily connects local farms - to local food banks - to local families. It's a simple way to make a difference. Anyone can donate! Summer is a time many of you plan vacations, or time away from home. Did you know? If you need to place your delivery on hold - when you "skip your box" we've made it easy to donate that box to a local food bank! You can donate anytime though, it's not a requirement to donate. Donate Any Time - It takes just a few minutes to easily make a fresh produce donation from our website. Anyone Can Donate! - You don't have to be a Farm Fresh To You member to donate. Share this program with your family and friends! We'll Handle It - No need to collect items and distribute them yourself. You choose the size and the amount of boxes to donate, and we'll pack and deliver it for you! Tax Receipts - A Donation Confirmation (with the Food Bank’s Tax ID number) will be emailed to the payment/billing email address. Farm Fresh To You members can also view a log of donations and download a tax receipt at the end of the year. A Fresh New Take on Donations - Take advantage of this unique opportunity! We have 6 regional food banks that are set up to receive and distribute fresh fruits and vegetables donated by you. 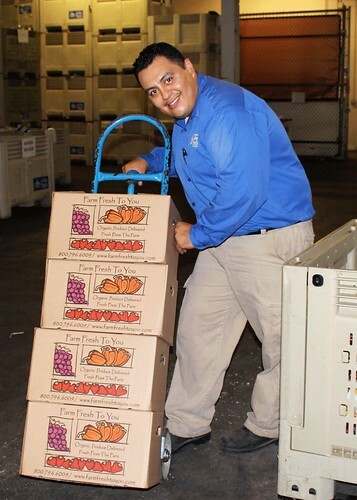 Learn more about our Donate-A-Box Program and join our efforts to bring nutritious produce to those facing hunger. Every box counts!! Federal funds for this project were awarded under the Local Food Promotion Program of the Agricultural Marketing Service, U.S. Department of Agriculture. My brothers and I grew up on the farm my parents started in 1976. It is hard to believe that we have been solely responsible for the farm for 15 years last week. When we were kids, it was a square piece of land that was 20 acres in size. 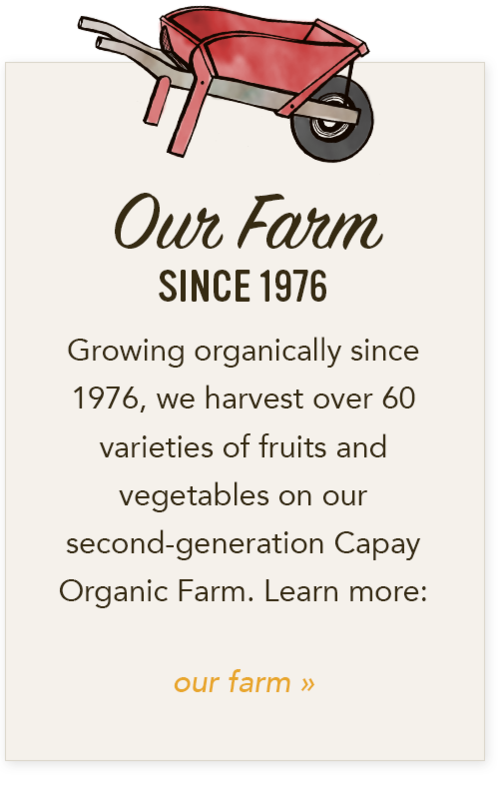 On this piece of land, my parents toiled in the soil, raising organic produce and peddling it at local farmers markets, to restaurants and distributors. This was our childhood. Life happened in the 90’s. Mom was diagnosed with breast cancer. Our parents had an amicable divorce, and our mother, Kathy, bought our father, Martin, out of the farm. 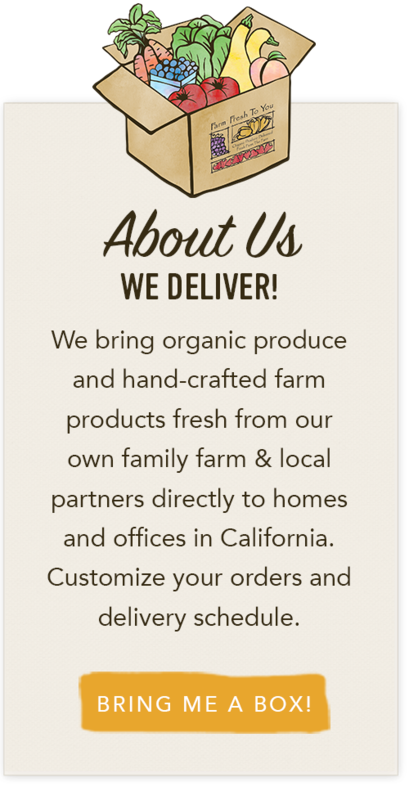 Mom started Farm Fresh To You and was proud of the business that had grown to 500 deliveries per week. Mom loved what she did. In the winter, she poured over seed catalogs making next year’s planting schedule. She was proud of the positive feedback she received from her customers. Mom passed on pieces of advice that we took for granted: quality and selection, be proud of the farm, work hard, be respectful to everyone, and above all – you boys stick together. Between sophomore and junior year in college at Cal Poly San Luis Obispo, I was back on the farm to help mom with the summer crops. I had just returned from a quarter in Guanajuato, Mexico, where I had learned enough Spanish to achieve communication with our invaluable team of Latino production, harvest and packing crews. I remember mom making a big point to show me how she put together the Farm Fresh To You contents a week before she passed. “Mom, I get it. It’s not that hard,” I said. She laughed and was relieved at my confidence. Looking back, I suspect she knew what I was in for, but I surely didn’t. Fifteen years ago, the morning of July 2nd, our mother and founder of Farm Fresh To You ended her battle with breast cancer in the very room of our farm house that I was born in. My brothers and grandparents were there to witness her last breath. At that moment, we had no idea that our entire world had just changed. Overnight, I inherited the full load of farm responsibilities, including the farm news. Freeman inherited the farmers markets and delivery of the Farm Fresh To You boxes. Noah inherited the financials and sales. Che looked on from his military base in Puerto Rico, where he was piloting Falcon Jets for the Coast Guard, offering moral support. I am proud that we are still together. I know mom would be amazed at what has happened over the years. But most importantly, I am so thankful to all of our Farm Fresh To You customers who have tried our service and a special shout out to those of you who have made it part of your life. Thank you. We could not have done it without you.